Suriya Sivakumar was born on 23rd July 1975 in Coimbatore to Sivakumar and Lakshmi. 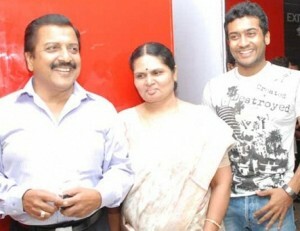 His birth name is Saravanan Sivakumar, he preferred to use Suriya as his screen name. 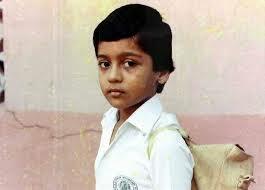 Suriya went to Padma Seshadri Bala Bhavan, St. Bede’s Anglo Indian Higher Secondary School and Loyola College, Chennai. 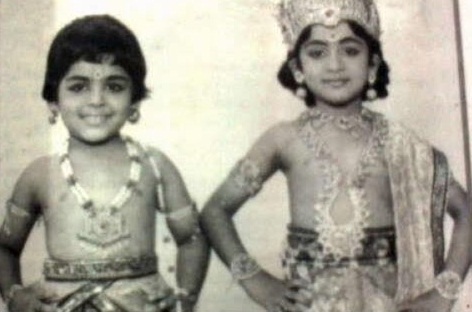 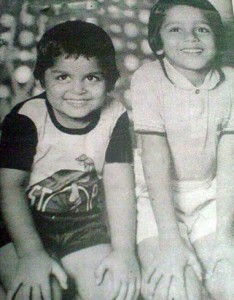 Before venturing into films Suriya worked in a garment factory for 6 months. 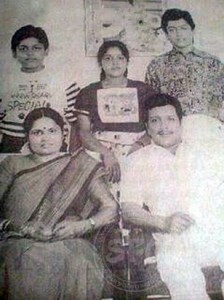 He made his acting debut with Nerukku Ner in 1997 opposite Vijay, Simran and Kausalya. 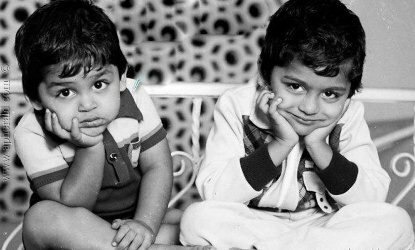 His initial commercial hit film was Nandha in 2001 opposite Laila and Rajkiran, Kaakha Kaakha in 2003 alongside Jyothika and Jeevan. 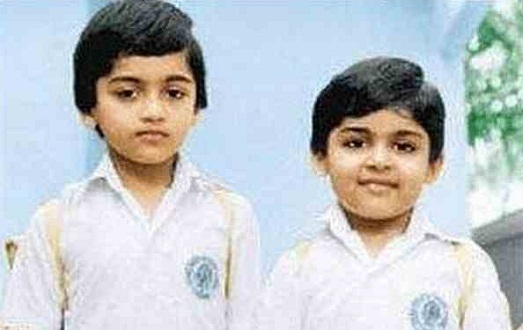 He is also a philanthropist who established a charitable fund named Agaram Foundation in 2008. 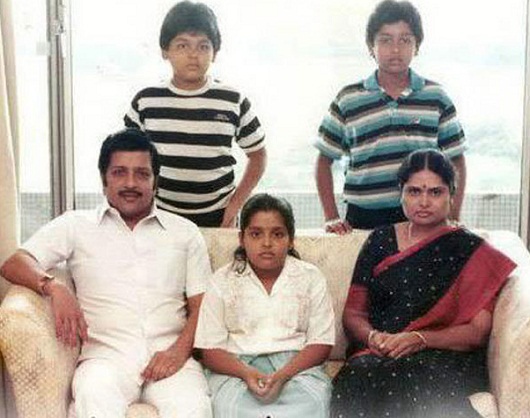 He hosted a television show named Neengalum Vellalam Oru Kodi which was aired on STAR Vijay in 2012. 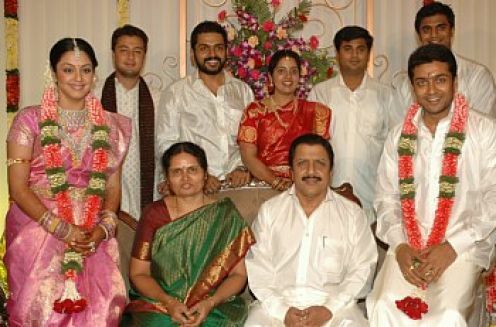 Suriya Sivakumar endorsed several reputed products like TVS Motors, Aircel, Sunfeast, Saravana Stores, Bharathi Cements, Emami Navaratna, Nescafe, Close-Up etc. 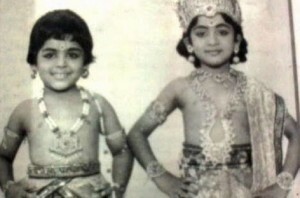 His younger brother Karthik Sivakumar is also an actor. He prefers to use Karthi as his screen name. He was born on 25th May 1977 in Tamil Nadu. 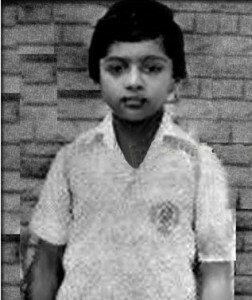 He attended Padma Seshadri Bala Bhavan, St. Bede’s Anglo Indian Higher Secondary School, Crescent Engineering College and Binghamton University, New York. He holds a Master’s degree in Industrial Engineering. 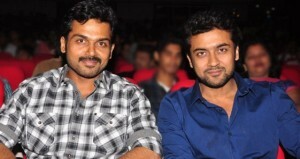 Karthi made his acting debut with Paruthiveeran in 2007 opposite Priyamani and Saravanan. He has a younger sister named Brindha Sivakumar. 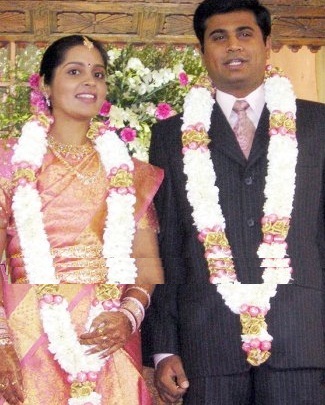 His brother Karti was engaged to Ranjini Chinnaswamy on 29 April 2011 in Goundampalayam. They got married on 3 July 2011 at CODISSIA complex in Coimbatore. The couple gave birth to a daughter named Umayaal on 11th Jan 2013. 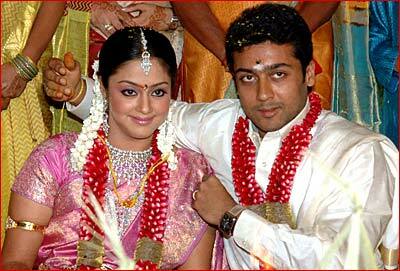 Suriya Sivakumar started dating Jyothika during the filming of Kaakha Kaakha in 2003. 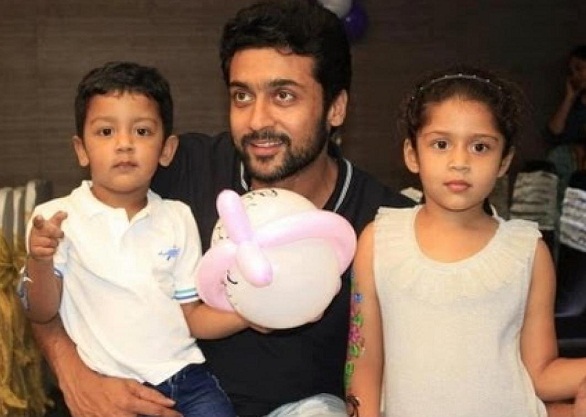 The couple got married on 11th Sep 2006, they gave birth to a daughter Diya in 2007 and son Dev in 2010. 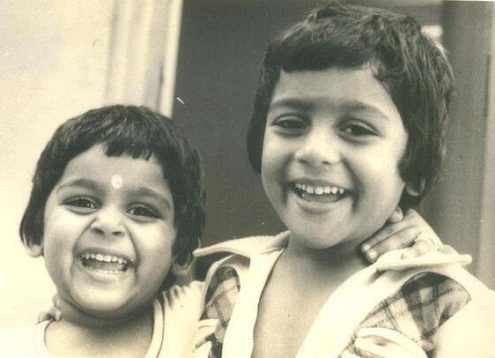 Jyothika was born on 18th Oct 1978 in Mumbai to Chander Sadanah, a producer and Seema Sadanah, house wife. 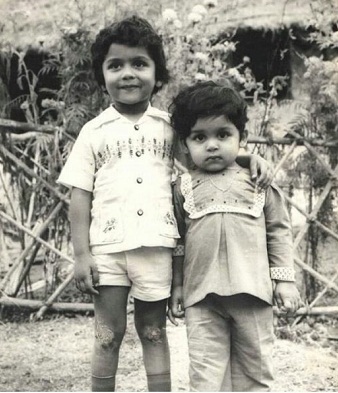 She attended Learner’s Academy and Mithibai College, Mumbai. 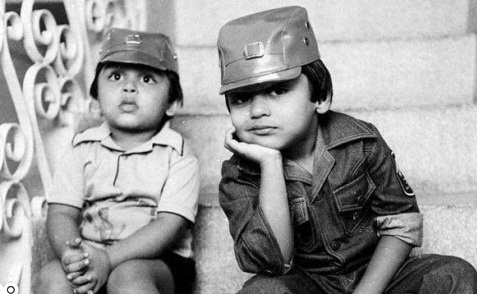 Jyothika made her acting debut with Bollywood film Doli Saja Ke Rakhna in 1998 opposite Akshaye Khanna. 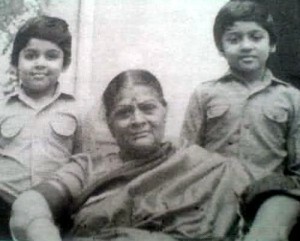 Her Tamil film debut was with Vaali opposite Ajith Kumar and Simran in 1999. She endorsed reputed brands like Nescafé, Paragon footwear, Aircel, Santoor Soap etc.